Johannesburg - Mobile network Cell C reported a R588m net loss in its interim results for 2017, its major shareholder Blue Label Telecom [JSE:BLU] announced on Thursday. The results were presented by Blue Label during an investor roadshow where it was announced that despite the poor results, the Cell C subscriber base had grown by 12% to 15.7 million. It was also reported that the network's total revenue increased to R7.7bn, up from R6.96bn with earnings before interest, tax, depreciation and amortisation recorded at R1.6bn. The company reported a 12% service revenue increase to R6.3bn and capital expenditure of R561m. There was a 33% data revenue increase of R2.6bn, up from R1.9bn in the prior year. 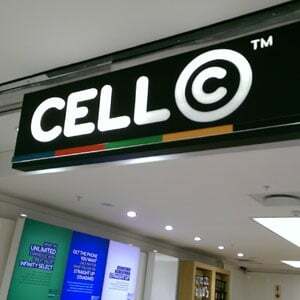 The recapitalisation deal between Cell C and Blue Label saw delays when Cell C had to submit extensive information to the Independent Communications Authority of South Africa (Icasa) after apparently failing to follow correct procedure. Icasa stated that the network had filed for a change in licensing under separate acts, which were not applicable to the transaction. The hearings are expected to be scheduled for next year. On August 1, Cell C’s recapitalisation was finalised when Blue Label’s wholly-owned subsidiary, The Prepaid Company, became a 45% shareholder in R6bn of the issued share capital of Cell C, with a further subscription from Net1 [JSE:NT1] for R2bn.